Polar Bear’s alarm is like a military warning siren. Cheeseburger makes us all promise on a stack of ramen that on this, our last morning, we’ll wake naturally. I wake up and make coffee and eat some things. This morning we’re heading to Manning Park where we’ll find cabins, a restaurant, an indoor pool and sauna, and ultimately a bus that will takes us to Vancouver, BC. From there we’ll hop on another bus to Seattle. 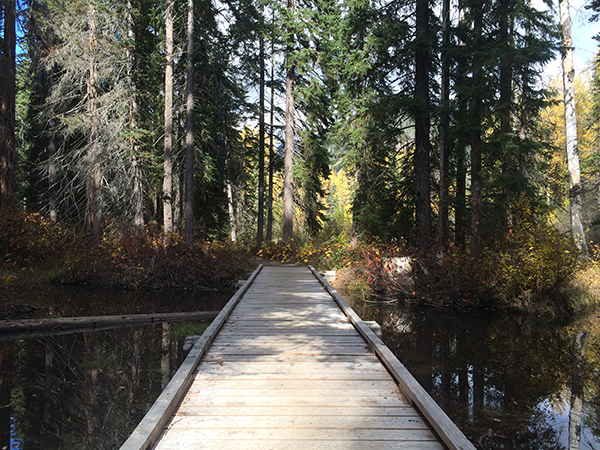 It’s not so much hiking today as floating down the trail. I made it. All the fear mongering on Facebook and blogs about how we were never going to make it if we didn’t reach Canada by September 1st, 15th, 21st, or 30th ended up being groundless. My desire to take zeros and meet people, to listen to my body and rest when I was tired, to “h my own h”, served me perfectly. I am heading to Manning being kissed by the sun and hugged by the scent of fall leaves. Thank goodness for every wrong move. 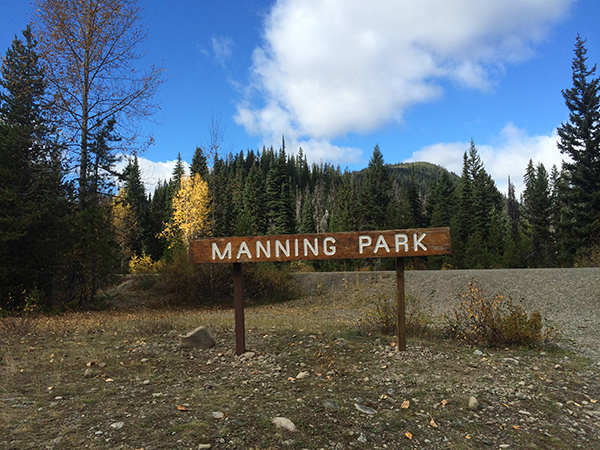 At Manning Park, Polar Bear, Cheesburger, V, Cracker Jack, Think Fast, Goose Bumps, and I giddily sit down for lunch. There will be no rush, no mandatory chores, no mile counting. This feels good but also a little odd. We rent a cabin with enough beds for us all, take showers, do laundry, and lounge around until dinner. 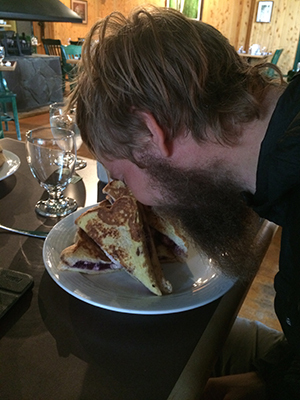 Then we hiker hobble over to the restaurant and toast the PCT, our journey, and each other. After dinner we jump in the pool. The heat eases any remaining muscle soreness. We make up games, race, and splash around. Back in the cabin we pile on to the couches and flip through the TV. Breakfast Club is on. It seems fitting on this last night all together. This entry was posted in Transmissions and tagged Canada, Manning Park, Thank goodness for every wrong move. Bookmark the permalink.